ILLUSTRATED HISTORY: RELIVE THE TIMES: Images Of War, History , WW2: Who Killed President John F Kennedy? Who Killed President John F Kennedy? * The CIA killed Kennedy for not backing the Bay of Pigs Invasion and vowing to break the Agency "into a thousand pieces"
* Kennedy was killed as part of an elaborate Freemasonic ritual. The Warren report states, that Lee Harvey Oswald commited the mureder alone out of his misguided communist ideals and desire to achieve fame in the only way that he could imagine . Oswald stated after his capture, that he is only a “patsy”, but since he was killed two days after the assassination by an infamous low level mafia gangster, nightclub owner, illegal drug and gun runner called Jack Ruby, no information could be gained from him. Whether Oswald really worked alone, as the report stated, remains a mystery, but he could also have been the gunmen of a large organization. This explanation has been offered by columnist Jack Anderson, among others. It has two variants. The fashionable revisionist version tells us that Kennedy was killed by right-wing Cuban exiles in America who felt that the President had sold them out. Kennedy's refusal to allow U.S. forces to participate in the exile army's Bay of Pigs invasion, which was instigated and financed by the CIA, left the exiles easy meat for Castro's air force. Thousands of the emigres were killed or imprisoned by the Castro regime, and those escaping or left in America were quite upset. Also, in the aftermath of the Cuban missile crisis it was widely believed Kennedy guaranteed the Russians that Cuba would be left unmolested in return for a withdrawal of Soviet missiles from the island. Again, the Cuban exiles were not consulted. Realistic Cuban exiles could see the writing on the wall in 1963 and may have wanted revenge. So these desperate men, no strangers to violence, had Kennedy assassinated, and left Oswald, who was somehow duped into following them, as the patsy. This is probably the weakest theory. While the exiles had the means and reason to kill Kennedy, and little to lose, it seems impossible that they could have escaped the police, covered up their role, and arranged for Ruby to silence Oswald. The Cuban exile community was so riddled with CIA infiltrators in the '60s that any plot would likely have been noticed by U.S. intelligence. The idea of Cuban exiles acting under CIA guidance is rather more interesting, but that's another story. This theory requires a deeper look into the policies of Kennedy and his Attorney General and brother, Robert. The Kennedys took a much more aggressive stance against organized crime than previous presidents. Robert Kennedy had earned the enmity of Teamster's Union boss Jimmy Hoffa, as well as other mafia members, during his probes and racketeering prosecutions. The mob also had a Cuban connection. Before the Castro revolution, U.S. mobsters had a lucrative stake in the Hanava casinos and were doing whatever they could to get it back. Mafia families funnelled money to the Cuban exiles, knowing their payback would come with Castro deposed. It's rumored that the CIA employed mob hitmen to do away with Castro. La Cosa Nostra was understandably irritated at the shabby treatment they received in return from the Kennedys. If rumors that JFK shared a mistress with mobster Sam Giancana are true, perhaps jealousy had something to do with Kennedy's death. Whatever the facts, it's clear that the mafia had the desire and the resources to fell Kennedy, and with him, his troublesome Attorney General. And in Jack Ruby, the Dallas strip-joint owner with ties to the mob in Chicago, New Orleans and Dallas, they even had means to cover up their involvement. Partially. It's doubtful the mob could have influenced the Warren Commission and its F.B.I. investigators. And how did they get Lee Harvey Oswald to participate in the first place? Even if they duped Oswald and silenced him thereafter, it's hard to imagine that a group as corrupt as the organized crime syndicate could have kept this secret for 30 years without a rapid wholesale slaughter of everyone connected to the killing, including Ruby. The consequences of discovery would surely give the lowest mob thug pause to think, much less the top men, who still had things easy in those days and, like the Russians, much more to lose than to gain. Also known as the Reader's Digest Theory, this theory is most favored by right-wing conspiracy theorists. Leon Trotsky Oswald spent two years in Russia, married a K.G.B. colonel's niece, and came back to put an end to the President at a time when the cold war was at its most frigid. How could Soviet intelligence not have had a hand in the killing? Obviously Oswald was a K.G.B. fifth columnist, sent to do what he could for the cause, and when it became necessary for Kennedy to die, Oswald served his purpose. The question mark for this theory is motive. Kennedy had embarrassed the Soviets in the big Cuban showdown the year before, but their geopolitical situation was, if anything, stronger in 1963 than in the previous year. Kennedy had removed missiles aimed at Russia from the Turkish border as a concession, and also had taken a hands-off posture toward Cuba. By all accounts Soviet premier Kruschev liked Kennedy and could expect no softer treatment from Johnson or possible Republican successors like Barry Goldwater. This version of events offers the most interesting explanation for the Warren Commission coverup. Presumably President Johnson, on learning of Russian involvement, ordered the Commission not to overturn that stone. If it were learned that the K.G.B. controlled Oswald, the American public would demand war. The Democrats, afraid to appear soft on communism during an election year, would be forced to start World War III. A variation of the K.G.B. explanation was offered by Professor Revilo Oliver, whose account merited 123 pages of space in the Warren Report. Oliver explained that the international communist conspiracy killed Kennedy because he was not serving it as efficiently as he had promised. Kennedy was behind schedule in delivering America to communism and was eliminated when the conspiracy learned that he planned to "turn American". Oliver concluded by noting sorrowfully that while Kennedy, a communist tool, was the object of national grief, not a tear was shed in this country over the sad end of Adolf Hitler. The most probable story is that a CIA faction decided to do away with Kennedy for one of three reasons: a) that he gave away Cuba, a country on which the Agency had worked so hard and in whose struggle the renegades had become personally involved; b) to prevent him from doing the same with Vietnam; or c) as a response to a wave of firings Kennedy had ordered in the Bay of Pigs aftermath, starting with CIA director Allen Dulles (who, by the way, served on the Warren Commission), and out of fear that Kennedy was going to eviscerate the intelligence establishment for misleading him about Cuba. In response to the charge that it would be incredible that a government branch could pull off anything as efficiently as the Kennedy assassination and coverup, it should be remembered that the CIA of 1963 was an entirely different animal from what it is today. The men carrying this out were veterans of the World War II O.S.S. These same men smuggled Nazis out of Europe against incredible odds, a far cry from the modern CIA's college boy recruiters who can't deal with student protest on the Carolina campus. This faction, operating with ease in their home waters, rounded up a team of shooters from the Cubans, Mafia or some other disgruntled group. Oswald is added as a fall guy for the public. As the day approached, sympathizers in the Secret Service or Dallas police were given their instructions and the operation went off without a hitch. Ruby was tricked into shooting Oswald, and the actual assassins are chopped up and buried by the roadside in Mexico. The CIA theory, unlike the others, has a satisfying explanation for the Warren Commission's bungling. First, the interconnected government intelligence agencies which supplied the Commission with most of its information were in good position to mislead their bosses and to destroy evidence and witnesses. Second, even if the government higher-ups learned of the Agency's involvement, they would hide it from the public for fear that the reaction might cast down the political-business elite from which they came. Finally, for the truly apocalyptic-minded, maybe L.B.J., Earl Warren and the whole military industrial complex were in on the secret from the beginning. Yes, Virginia, there really is a global organization that runs everything and keeps people like you from leading a decent life. Of course, this super-conspiracy would be powerful enough to arrange car accidents for Jim Garrison, Oliver Stone and this writer, but just because you're paranoid doesn't mean they're not out to get you. Out of the widely varying groups that have been accused of assassinating JFK (i.e. CIA, FBI, Military Industrial Complex, KGB, Castro/Cuba, Mafia, Nazis, etc) there is one entity that is always left out of the equation: The Israeli MOSSAD. You might want to ask yourself why haven't you heard of this theory before. How have they been able to lurk in the shadows completely undetected for all this time since JFK's assassination if they were so deeply involved? The answer is obvious. The Jews control the media, therefore they control all of the information you hear. They sold you on Lee Harvey Oswald as the "lone nut" president killer and they also sold you on these red herring conspiracy theories that are mostly make-believe. They will tell you anything but the truth. 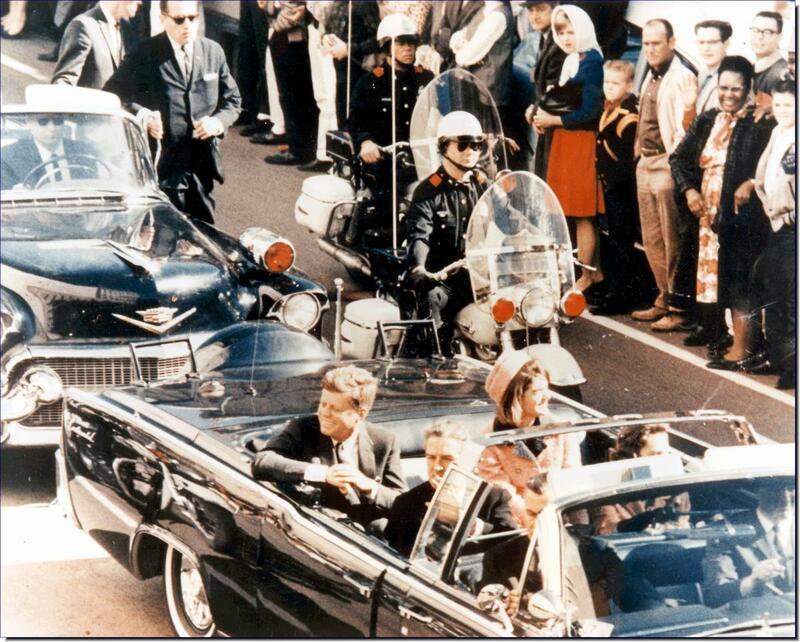 The truth is that JFK was assassinated in a joint CIA-Mossad-Jewish Mob hit. A complex clandestine operation that benefited many powerful people, but, most definitely benefited Israel & the Jewish Power Elite who have been in control of America since the Fed Reserve was established in 1913. If you are curious about Israel's motive for the hit, then maybe you should hear what an Israeli had to say about the matter. 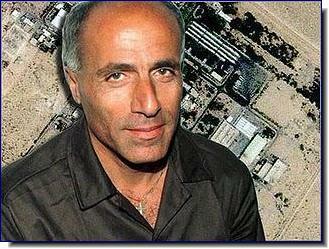 Mordechai Vanunu is an Israeli former nuclear technical assistant who revealed details of Israel's nuclear weapons program to the British press in 1986. He was subsequently imprisoned for 18 years for revealing state secrets and released in 2004. In a 2004 interview with London paper Al-Wassat, Vanunu said that there were "near-certain indications", Kennedy was assassinated due to "pressure he exerted on then head of government, David Ben-Gurion, to shed light on Dimona's nuclear reactor." Liking your overview and willingness to explore all possible explanations for the assassination. I've not heard much about your favored one before - it is no doubt too provocative in our culture to even entertain in the mainstream. I've favored the mob explanation over the years. One very important fact you've let out is the Kennedys' employment of the mob to win Chicago against Hubert Humprey, and again against Richard Nixon in the general election. (Also against Cuba, as you did point out.) This establishes a significant depth of motivation for the mob to target both JFK and RFK, who as AG had figured on crushing the mob, rather than succumbing to their blackmail after using them for his brother's election. If I follow motivation, to me, this explanation provides the best clue. I've always thought that the obvious person responsible for JFK's shooting was Johnson. He and his cronies would benefit most, but we were always fed these other scenarios, to turn suspicion away from Lyndon Johnson. I believe his ploy worked. He became President and was able to control information about the assassination as well as change things that JFK had decided to do that would have impacted badly on him. couldn't have all been involved. It certainly isn't mutually exclusive especially if one considers the close relationship existing for example between the C.I.A. and the Mafia, the C.I.A. and Mossad, Johnson and the oil barons etc. They ALL stood to gain from it. Most likely the C.I.A. and Mossad were the principal organizers of the plot, the oil barons financed it and Johnson benefited from it by a.becoming president and b.squashing the investigation of him for corruption which would have caused him to be dropped from the ticket in 1964. He was the elite's puppet president ruling in place of Kennedy and he quickly reversed all of J.F.K. 's decisions which would have harmed the elite.